USAID supports the Maximizing Agricultural Revenue through Knowledge, Enterprise Development and Trade (MARKET) project, which is a key component of the U.S. Government’s Feed the Future initiative. MARKET focuses on strengthening the ASEAN institutional platform for increasing regional food security. MARKET will also improve the enabling environment for expanded food and agriculture trade in the ASEAN region and increase private sector and civil society engagement in the regional agriculture policy dialogue. MARKET focuses on strengthening the ASEAN institutional platform for increasing regional food security. MARKET will also improve the enabling environment for expanded food and agriculture trade in the ASEAN region and increase private sector and civil society engagement in the regional agriculture policy dialogue. Assessing the enabling environment for regional trade in food and agricultural products - comparing member states’ trade policies and practices and exploring how certain regulatory improvement and harmonization can advance food security—and developing reform recommendations. Identifying barriers to cross-border trade and investment in aquaculture, a key food value chain in the region. Facilitating public-private dialogue on sustainable fisheries. Organizing a series of workshops to improve and broaden public-private dialogue on food security issues facing by the private sector. 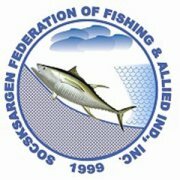 SOCSKSARGEN Federation of Fishing and Allied Industries, Inc. a non-government, non-profit organization, established in 1999 as an umbrella organization of 7 associations with a total over 100 companies involved in fishing, canning, fish processing, aquaculture production & processing and other allied industries. Its membership cuts across the entire value chain from the capture fisheries sector, composed of the hand line fishermen, the small, medium & large commercial ring netters and purse seine operators, to the fish processing sector and exporters composed of the big canning operators, fresh chilled, frozen fish value-adding sector. It is based in General Santos City governed by a Board of 14 Directors and by the Executive Director handling the day-to-day operations. -Serve as a forum to strengthen industry representation and positioning with respect to other players in the world with the end view of protecting, expanding, and maintaining the country’s strategic lead in the tuna industry. Sustainable Fisheries Partnership (SFP) is reshaping the world of corporate responsibility in the seafood industry through the creation of powerful information tools and a methodology that enables companies to directly engage with suppliers of natural resources. Our Vision is one of healthy marine and aquatic ecosystems; secure seafood supplies; and a thriving, responsible seafood economy. Our Mission is to engage and catalyze global seafood supply chains in rebuilding depleted fish stocks and reducing the environmental impacts of fishing and fish farming. 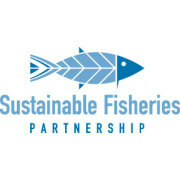 Since its founding in 2006, SFP has been leading and catalyzing fishery and aquaculture improvement projects globally by convening, educating, and advising supply chain stakeholders including major retailers, restaurant chains, seafood brand owners, buyers, producers (fishers), nonprofit organizations, and fisheries management and scientific institutions to improve fisheries and aquaculture practices and policies. SFP fills a specific gap between industry and the marine conservation community, utilizing the power of the private sector to help less well-managed fisheries meet the environmental requirements of major markets. Our work is organized around two main principles: making available up-to-date information on fisheries for the benefit of major buyers and other fisheries stakeholders; and using that information to engage all stakeholders along the supply chain in fisheries improvements and moving toward sustainability. SFP operates through two main principles: information and improvement. The U.S. Soybean Export Council (USSEC) is a dynamic partnership of key stakeholders representing soybean producers, commodity shippers, identity preserved value-added merchandisers, allied agribusinesses and agricultural organizations. Through its global network of international offices, activities are carried out that will create and sustain demand for U.S. soybeans and soybean products. 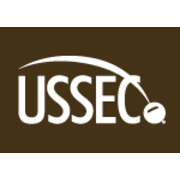 The activities of USSEC are made possible by producer checkoff dollars invested by the United Soybean Board and various State Soybean Councils, support from cooperating industry, and through the American Soybean Association's investment of cost-share funding provided by USDA's Foreign Agriculture Service. In key markets and targeted industries, USSEC conducts marketing activities and provides technical assistance throughout the global soybean value chain. 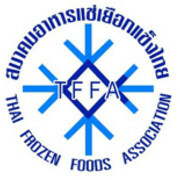 Thai Frozen Foods Association (TFFA) is a private non-profit organization founded in 1968 under the Thai Trade Association Act. The original name was Thai Marine Products Association, then changed to Thai Fishery and Frozen Products Association in 1983 to cover the frozen products industry. Finally, the present name of Thai Frozen Foods Association was adopted in 1994. The name clearly reflects the overall scenario of frozen products as food item, as well as expands the association’s supervisory role beyond marine products to cover many other food categories. TFFA runs by Directors elected from its members to a 2 year-term. The main business of its members is processing and exporting frozen foods. TFFA derives its income from annual membership fee, as well as service provided such as sample analysis, arranging seminars, sales of forms and documents. It now has more than 200 member companies, with an office located at business area of Bangkok. - Support members to improve capacity, quality and effectiveness in their business, create raw material sources, open markets and strengthen competitiveness of Vietnam seafood products, contribute to development of Vietnam fisheries. - Establish and develop linkage forms and coordinate members’ activities based on voluntary and mutual interests; organize common events, facilitating mutual understanding and communication, aiming to create a goodwill relationship between members. - Protect legal interests of the association and members; represent members to send government and state authorities the proposals and petitions on development of seafood processing and import-exporting. - Develop members, infrastructure and expand operating scope of the association; establish and develop international relations. - Introduce partners to members. - Seafood Industries Association Singapore (SIAS). Together with their member companies, they welcome all partners to cooperate with Vietnam fisheries. VASEP is the trustful address for trading and non- trading exchange as well as cooperation opportunities based on mutual interests.